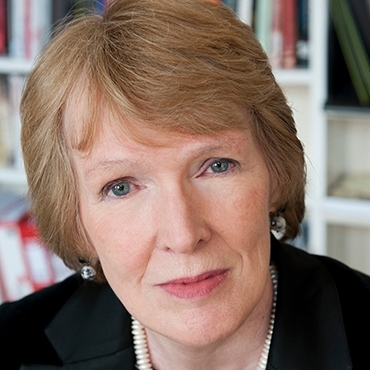 Margaret MacMillan is a Professor of History at the University of Toronto and the former Warden of St. Antony&apos;s College. She is a Fellow of the Royal Society of Literature and a Senior Fellow of Massey College, University of Toronto, Honorary Fellow of Trinity College, University of Toronto and of St Hilda’s College, University of Oxford. She sits on the boards of the Mosaic Institute and the editorial boards of International History and First World War Studies. She is also a Trustee of the Rhodes Trust. Her books include Women of the Raj (1988, 2007); Paris 1919: Six Months that Changed the World (2001) for which she was the first woman to win the Samuel Johnson Prize; Nixon in China: Six Days that Changed the World; The Uses and Abuses of History (2008); and Extraordinary Canadians: Stephen Leacock (2009). Her most recent book is The War that Ended Peace.